This would make a great book club question for a late-night discussion of The Glass Wives by Amy Sue Nathan. (St. Martin's Griffin, May, 2013). What would you do if your ex-husband died, leaving you with two grieving children, but also a second wife and a new baby who come knocking, asking for your help? Before you give a quick magnanimous answer, what if the second wife is way younger than you, and by that I mean young enough to sport a tattoo? And what if she'd been your husband's mistress before your divorce? It's getting complicated, isn't it? But yet, your children have a connection with their stepmom and the baby. They spend every other weekend together. You can't just slam the door in their face like you're dying to. It's a great premise for a book, isn't it? There's plenty more good stuff within the pages that you'll just have to discover for yourself. There are betrayals and discoveries, surprises and secrets. But most of all, it's a lovely story of unlikely friendships, forgiveness and what it means to be a family. 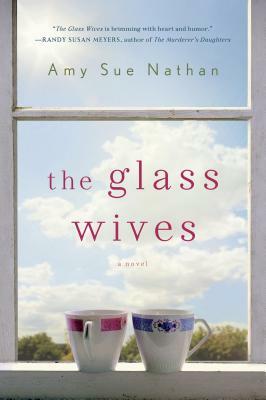 If you're interested, we hope you'll stop by The Bookstore on Thursday, May 30th at 7pm for a reading and book signing by Amy Sue Nathan. She's got her own interesting story behind the book that we think you'll love to hear. Please join us! 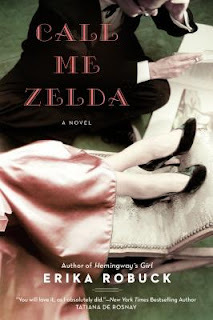 Whether you're excited by the glitz and glamour of the new Gatsby movie, or you think it's going to be a frenzy of hype and excess, we recommend you check out a wonderful new novel, Call Me Zelda by Erika Robuck. 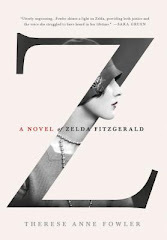 Call Me Zelda isn't just another book about Zelda Fitzgerald. It's the richly imagined story of a psychiatric nurse, Anna Howard, who served Zelda during her years in Baltimore "after the party." It is Anna's story more than Zelda's, as we get to see how Anna's life is transformed by her relationship with Zelda and Scott. Anna struggles to keep her own footing as she becomes increasingly involved in the celebrities' lives. Zelda is admitted to the Phipps Psychiatric Clinic at Johns Hopkins Hospital in Baltimore, Maryland in 1932 where Anna is a nurse. Anna has suffered her own tragedies, having lost her husband in the war and their young daughter in the influenza epidemic, but rather than face her own sadness and survivor's guilt, Anna is consumed by the need to help Zelda. She is eventually hired to be Zelda's private nurse when Zelda moves out of Phipps and into their private home just outside of Baltimore (in true Gatsby style, the house has it's own French name: La Paix). Scott and Zelda's relationship is toxic and Zelda is deeply troubled, but Anna is determined to help Zelda find some peace and happiness. The wake behind the Fitzgeralds' celebrity lives is indeed very choppy and you worry that Anna will get lost in it. We all know that Zelda and Scott's story ends in tragedy. But you will hope that Anna's doesn't. Will she be redeemed by her dedication to Zelda, and ultimately find a way to live her own life, or will she become another "Woman Upstairs" who loses herself by living vicariously through others? Call Me Zelda: May Staff Pick at The Bookstore. 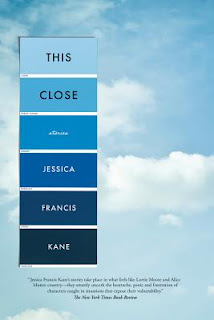 This is the third post in which Sue and Margie talk about a short story collection they both loved called This Close by Jessica Francis Kane. This time they're talking about Margie's favorite story, Next in Line. We tried to talk about this story without revealing key plot points, but decided we were tiptoeing around too much. So if you want the story to reveal itself to you first, maybe you should go read it and then come back and join our discussion. Margie: I loved Next in Line, the story about a young mother who believes her toddler caught a fatal case of meningitis in line at a CVS, or as her husband liked to call it, "Come Visit Satan." I don't know if I will ever go into a CVS again without thinking of this family. Sue: God point. I will always think of Jessica Kane when I go into that store! Margie: The mother says she thinks of CVS as a "secular gateway," and I couldn't agree more. We go there for prescriptions, pregnancy tests, diapers, sympathy cards and almost everything else in between. It's part divine, part utterly banal, such an overlooked and random place in our lives. How perfect that Kane set her story there. Sue: As much as I loved Next in Line, it made me uncomfortable, like I should let this poor woman/couple grieve in private. Who can imagine such a tragic thing, and who knows how they would respond. Sue: I get why the mom haunted the aisles of the CVS, but I was worried throughout the story that this terrible tragedy would destroy her relationship with her husband and I didn't want that to happen. Men and women usually have such different ways of grieving, and you can see why often something as sad as this tears a couple apart. I like the way it appeared that wasn't going to happen here. Enough time had to pass and then they were going to be okay. Margie: But how awesome is that? You're talking about this make-believe couple as if they are real. You worry about them and want them to be okay. And to go back to the last story we discussed (The Essentials of Acceleration), this is the real kind of grief - the deep, messy, scary kind of grief - that Holly never seemed to have. The mom in this story blamed herself for putting her baby down on the floor for just a moment, and she couldn't get over it. She was in such pain that she couldn't even call her baby by her real name throughout the whole story - she just called her "S." But she didn't try to "accelerate" through the grief, she kept going back to the CVS until she found a way to forgive herself. Even if she was pretty wacko to keep going back, her husband finally went there with her and talked her through the pain and guilt. Until his wife could say: "My daughter's name was Susanna Jane. End of story." Wow, what an ending! By the way, I just went to a CVS yesterday. The pharmacist was very nice. There were no creepy ladies in black muttering scary prophecies. But just in case, I used the hand sanitizer in the back of the store next to the pharmacy counter. So that's good. Sue and Margie Highly Recommend: THIS CLOSE by Jessica Francis Kane. Join Margie and Sue as we discuss a new short story collection we both love: This Close by Jessica Francis Kane (Graywolf Press 2013). Sue: I think my favorite story in This Close was The Essentials of Acceleration. Each time I look at the story, I see something new. In fact, to have this chat with you I reread it, underlining and taking notes, and finally I just had to call you to talk about it. Honestly, there is so much there. I am the neighbor you don't know. The neighbor who doesn't do anything wrong, but for some reason you just don't like her very much. Maybe it's the way she treats her elderly father. You think she could be nicer. Sue: Holly's inability to open up to anyone, even her father, makes me wonder if she is consumed with resentment about the way her life has turned out. It seems she doesn't have a single friend other than Leo the mechanic. Margie: Yes, what was up with Holly and her crush on the mechanic, and her thing for cars? Her father seems like this adorable little old man, a retired English professor who loves books and gardening (a dream dad, if you ask me), but Holly doesn't share any of his interests. Instead, she'd rather think about cars. "Fiesta, Taurus, maybe next an Expedition. Do you know what those are? "The names of the cars I've owned." Jeez, what great dialogue. That is so not about the cars! Sue: No kidding. And then the dad says, "I think you needed a different kind of father." Isn't that sad? He blames himself for their lack of connection. He doesn't say, "I wish I had a different kind of daughter." Margie: I know. That killed me. Because it's not so much that Holly needed a different kind of father, she just needed her mother. One of Holly's fondest memories of her mother was when she taught Holly how to drive in high school. Some of the best mother-daughter bonding goes on in a car, right? Especially with teens. So, . . . not to play therapist here or anything, but do ya' think Holly's just trying to hang onto her mother? That all this car stuff is her way of saying not so much "I don't like you, Dad," but rather "I miss you Mom"? Sue: And instead of letting herself grieve, and share her grief with her dad (or anyone else for that matter) she'd rather put her foot on the gas. It's titled The Essentials of Acceleration after all. I think it's significant that Holly's dad was at the wheel when her mom was killed. He swerved to avoid hitting a deer. Holly probably thinks that if her dad was a better driver, her mom would still be alive. Margie: Holly keeps insisting what a good driver she is, but yet she's really pretty bad at it. She has one accident, one near-miss, and then hits a box turtle, all in one short story. So if she faults her dad for being a bad driver, she's really no better. She's such an unreliable narrator. So lacking in self-awareness it's almost funny. It was not seeing the boy in the street that cause me to drive my car into the parked Lexus after my Wednesday burrito. It was seeing my my neighbor put her arm around my father, . . . And by that I mean it was seeing the way my father leaned into her, a small collapse, as if he were bone tired and he knew she would support him. I knew they were friends. . . . he enjoys talking to her about the books they've both read. Until that moment I didn't know how much the friendship mattered to him. I think it surprised Holly to see what a true, compassionate friendship her father had with the neighbor woman. Holly's dad was closer to their neighbor than he was to Holly.
. . . are you being a bad neighbor or just protecting yourself? I really want to know because I'm interested in what we can and can't do for each other. What is fair to ask? . . . Can you ask someone why she lives alone with her father? Where her missing mother is? I think the answer is yes. A neighbor can become a friend if you let them. You can see how close Holly's dad was to their neighbor, but Holly wouldn't go there. Holly thought she was living "with the disaster" as well as she could, but she really wasn't. Not at all. Poor Holly! I don't know if I want to slap her or hug her! Sue: Okay, before you get carried away, let's shift gears and talk about your favorite story in This Close. Margie: (Shift gears? Ha ha!) Well, my favorite story was Next in Line. But we're going to save that discussion for another post. Because that's a whole 'nother story! Sue and Margie Get "This Close"
Sue and Margie recently read This Close, a new collection of short stories by Jessica Francis Kane (Graywolf Press 2013) and we found that we couldn't stop thinking about them. We'd shoot off tweets and emails back and forth as we read along, marveling at the impact the stories were having on us. So we thought we'd share an extended conversation about this book that we love so much. Sue: Let me start out by saying that this is one of my favorite collections of short stories EVER. The fact that we can get into a long conversation about each of these stories is amazing. Margie: I agree. These stories remind me of some of my favorite short stories by Lorrie Moore or Laurie Colwin. There's so much between the lines that you have to stop and let it all sink in before you move on to the next story. In order to do them justice, we're going to talk about one story at a time. Today it's Lucky Boy. Join us again later this week when we talk about two more stories in the collection. Margie: I remember we had our first conversation about this collection after I had just finished Lucky Boy, the first story in the book. It's about a young New Yorker's relationship with his neighborhood dry cleaner. The story hit a nerve because I absolutely love going to my dry cleaner. (Don't you go to the same one on Park Boulevard?) My dry cleaner is so nice. She knows that my daughter used to ride horses, that my husband's shirts are always same-day-rush-rush, and that my mother-in-law lives across the street, but I'm ashamed to say I don't even know her name. I think she's Korean. Sue: We do both go to the same dry cleaner (whose name is Rosa) and although I don't stop there more than once a week, she does know everything about my family, including my mother who lives across the street, as well. She even went so far as to give me a gift for my first grandchild. The difference between our dry cleaner and the one in Lucky Boy is that I can't imagine our dry cleaner asking us for anything. That is when it kind of seems to cross some line. Margie: Okay, now I feel really bad. You knew Rosa's name and I didn't. But I love what you say about crossing the line. That's exactly what happened in Lucky Boy, isn't it? The dry cleaner asked Henry to play baseball with her son, and he agreed. That's when everything got weird. Henry started to feel "entangled." He took Owen out to museums and out for hot chocolate, waiting for the outings to make some kind of sense. As if there are unwritten rules to these relationships that we can't breach without losing our way. Sue: That's a perfect way of putting it. When a cashier at Dominick's with whom I was always friendly asked me if my husband could possibly give her well educated son (whom I've never met) a job, I felt very uncomfortable, and kind of felt like avoiding her after that. Margie: That's exactly what Henry felt, isn't it? The need to step away. I thought it was interesting that Henry's girlfriend Christina, who was a native New Yorker, seemed perfectly comfortable keeping these types of relationships at arm's-length. But Henry (a fellow midwesterner maybe?) wanted to be a good person, to treat these people like his friends, but yet they weren't. Don't we feel exactly that about our "help" - an uncomfortable mix of friendship, commerce, loyalty, intimacy, power? It's confusing. Sue: And to think Jessica Kane fit all that into this one small story and called it Lucky Boy. Who was the lucky boy? Owen or Henry? And were either of them really lucky? I'm not so sure. But frankly, what else could have happened? Was I going to put Owen through college? Attend his wedding? Tell people he was the son of my dry cleaner - he's been waiting to dry clean my daughter's wedding dress for years? I can't tell those stories and I don't know any others. Henry doesn't know the story that would have made sense out of his relationship with Owen, so he just let it go. Geez, that almost makes me want to cry. Just think of all the stories we don't know. Next: Sue and Margie will be talking about Sue's favorite story in the collection, The Essentials of Acceleration. The folks at The Bookstore can't wait for you to walk in the store to share this wonderful book with you. So we'll tell you all about it right now and hope you'll rush over to buy it. The Interestings is the story of a handful of teenagers who meet at a performing arts camp called "Spirit-in-the-Woods" in 1974. 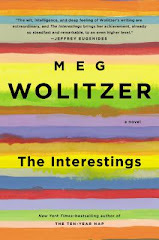 The story starts with their their first heady summer together (so much so that they actually call themselves "The Interestings") and follows them through their eventual coupling and careers, and then onward toward the present, with everything that middle age brings. These characters get under your skin. They burrow into your conscience and demand that you get to know them. By the time you're done, they're like family. There's Julie from the suburbs, whose quick wit gets her into the camp's inner circle ("the hot little nucleus of the place") despite her white-bread background. Ash and Goodman Wolf are siblings from the upper west side of New York who have more in the way of family connections than raw talent, and Ethan Figman is a natural born cartoonist and the one member of the group with true creative genius. There is Jonah, a gifted guitarist who stifles his own talent, and Cathy Kiplinger, an aspiring dancer whose developing curves will get in her own way. To Julie Jacobson (who quickly transforms herself into a cooler "Jules") these new friends are the most interesting people she's ever met. Most of them will be friends the rest of their lives. For many of us baby boomers, these characters are just like us. 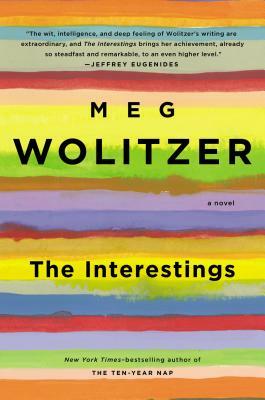 The historical detail in this book is so rich and precise that I kept looking over my shoulder - does Meg Wolitzer know me? She must! How else could she know that I too wore Dr. Scholl's sandals and corduroy jeans that swished together when I walked? I swear to God, my brother had the exact same red flannel lined sleeping bag as Ash Wolf, with "a repeating pattern of cowboys swinging lariats." Like the characters in the book, I was at a camp when I heard the news about Richard Nixon's 1974 resignation. (Okay, I'll admit, it wasn't an elite East Coast arts camp, but rather a no-frills Wisconsin trailer park.) But still. I was camping out with my high school friends, and I vividly recall how the entire campground broke out in celebration when we heard the news over our Zenith transistor radios. It was like a war had ended, and I guess it had. It was a little bit like the night we got Bin Laden. What an inspired place to start a book, the summer that Nixon would "lurch away, leaving his damp slug trail." Wolitzer conjures up many other stunning details that portray the end of one era (powder blue Smith Corona typewriters, nasty-tasting Tab, aging folksingers, Moonies, Princess phones with long tangled cords) and the start of another (Ronald Reagan, computers, our first gourmet club dinner parties with cilantro, and the mysterious disease we would come to know as AIDS). The Interestings start out just like many of us did when we were in our late teens. You know. Obnoxious, smart and promising. Most Boomers seemed to have this faith that something would come of our talent and promise - that we were meant for great things. And then. Time marches forward and the Goon Squad arrives. Not everyone succeeds. Not everyone is a genius. And if it's not you (odds are it probably isn't), what do you do? Do you keep fighting the good fight, or do you settle? If you settle, are you happy, or do you have regrets and envy the rest of your life? How do you deal with your friends and family who have more or less talent, success or money than you? Does it change your friendship? Affect your family dynamics? How do you learn to love what you've got, even if it's not what you thought you wanted? And didn't it always go like that . . . all of it a little bit off, as if the world itself were an animated sequence of longing and envy and self-hatred and grandiosity and failure and success, a strange and endless cartoon loop that you couldn't stop watching, because despite all you knew by now, it was still so interesting. And so it goes. How interesting. Sometimes you read a book and it clicks on every single level. That's what happened when I read House Girl by Tara Conklin. It's got that perfect combination of history, social justice and art that I love and that should be a big hit with our book clubs. House Girl has two intertwined plots: one is the story of a young slave, a "house girl" named Josephine Bell, and the other is the story of Lina Sparrow, a young lawyer assigned to a high-stakes class action lawsuit for reparations payments to the descendants of American slaves. The two stories merge into one when Lina Sparrow's search for the perfect representative plaintiff leads her to a brewing controversy in the art world. It turns out that the famous paintings of the antebellum artist LuAnn Bell, a Virginia slaveholder, may have instead been painted by her house slave, Josephine Bell. Lina begins an urgent search for Josephine's possible descendants, in hopes that the truth will remedy the wrongs of the past. Both threads of the story complement each other in a way that makes for an intriguing and thoughtful novel. Although many early readers seemed to enjoy Josephine's story more, I have to say I loved Lina's story just as much. Lina is the link between the past and the present. Her story shows us just how complicated the search for long overdue justice can be. I recently had the chance to chat with Tara Conklin to ask her some questions about the book. 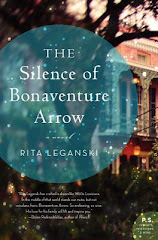 It turns out we are both retired litigation attorneys with an interest in historical fiction, so a lot of my questions were about Lina's part of the story and how it came to be. We get a little law-geeky, hope you don't mind! Margie: How did you get the idea to write about a slavery reparations lawsuit? Did you ever get to work on a pro-bono case while you were practicing? If so, how did your experience affect Lina's story? Tara: Before law school, I worked for a human rights NGO called the Lawyers Committee for Human Rights (now called Human Rights First) that was very involved with international justice issues - the international tribunals for the former Yugoslavia and Rwanda, the International Criminal Court, etc. I was fascinated by these efforts at addressing, through law, these periods of violence and repression - how does a society repair itself? How do individuals heal? This interest continued while I was a lawyer - I did a fair amount of pro bono work around human rights issues. While I was writing the historical sections of The House Girl, I started looking at the antebellum period through my lawyer's lens. I knew that slavery reparations suits had been tried in US courts before, without much success, so I started to envision a new one for Lina to take on. . . . My main sources of inspiration/experience came at the Lawyers Committee and then also in law school where I took a human rights clinic and an immigration law clinic. . . . [I had] this faith that legal rituals could really address, in a substantive, meaningful way, the individual harms suffered by victims of human rights abuses. Margie: Which came first, Josephine's story or Lina's story? How did you get the idea to pair them together? Tara: Josephine came way before Lina. I wrote Josephine, Caleb and Dorothea and put the stories aside for many many months - maybe even a year. But I couldn't stop thinking about them. I really wanted to bring them into the present day - to make Josephine's story resonate in the modern world - and so that's where Lina came in. Margie: I love the art angle in House Girl. How did you ever get the idea to have art be the big connector between past and present, slave and master, father, mother and daughter, Lina and her future? Tara: Josephine was always an artist - that was clear to me very early on in the writing. She was inspired in part by an African-American artist named Mary Bell - I wrote an essay about her for SheReads.org - here's the link: http://www.shereads.org/2013/02/tell-me-something-true-a-visit-with-tara-conklin/. But, it didn't happen in a truly linear way. I didn't think: oh, I want to write a story about someone like Mary Bell, and I think I'll call her Josephine. Josephine appeared in Caleb's story and, as I was getting to know her, I remembered my interest in Mary Bell and thought: oh yes, of course! Josephine is an artist too. Margie: What was your favorite part about litigation? (I was a Legal Writing TA in Law School, so I loved writing briefs!) How did your legal writing help or hinder your attempts to write a novel? Tara: I LOVED writing briefs! Particularly in international arbitration (my primary practice in London) because I had a lot more freedom to play with form and language than in straight corporate US litigation. I often say that being a litigator isn't all that different from being a fiction writer - you've got your protagonist/client, antagonist/opposing side - your're trying to persuade an audience to believe in the truth of your narrative, your version of events. Very similar to writing a novel! That said, it is still a lot more fun to write fiction. Now I don't have to worry about all those pesky "facts". Margie's Note: Did you go to the link that Tara refers to at she reads.org? 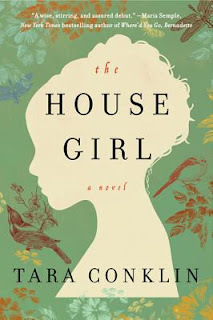 You really should - it's a great story about the inspiration for House Girl. How fun that it all started with a part-time job at an art gallery over 20 years ago. Don't you just love the way that art enters your brain and stays there until it finds a new creative expression? Now that Melanie Benjamin's new novel The Aviator's Wife is on sale, we imagine that many of you are discovering Anne Morrow Lindbergh for the first time, and finding her to be an incredibly complicated and fascinating woman. If you'd like to know more, we recommend that you pair your read of The Aviator's Wife with Anne Morrow Lindbergh's Gift From the Sea, which was first published in 1955. The 1950s seem like a lifetime ago, and if fact, they are. Anne Morrow Lindbergh passed away in 2001, not long before the 50th Anniversary edition would be published. 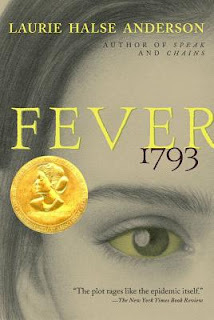 Anne's daughter Reeve, already 60 years old in 2001, wrote the introduction to the Anniversary edition. As Reeve said: "I never once had the sense that my mother's 1955 book has lost its freshness, or that the wisdom contained within its pages has ceased to apply, whether to my own life or to what I have learned, over time, of hers." It's amazing how Anne Morrow Lindbergh's wisdom still resonates today. 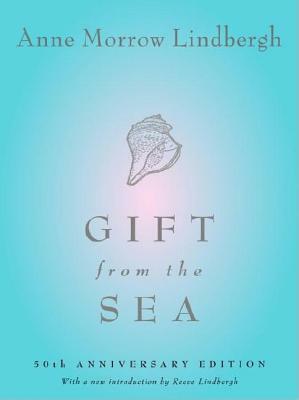 In one of the earliest chapter of Gift from the Sea, Anne observes and draws wisdom from a channelled whelk, a delicate shell that still washes up on the shores of Southwest Florida's beaches. Anne admired the shell's simplicity and perfect architecture, unlike her own life, which was "knobby with barnacles" and a "caravan of complications." Women's lives, Anne said, are plagued by "myriad pulls" that operate against creativity, contemplation and a saintly life. As Anne herself said: "I begin to understand why the saints were rarely married women." Now what 21st century mother can't relate to that? Anne wrote another chapter inspired by a rare find, the Double Sunrise, a perfectly matched bivalve shell with two sides like the wings of a butterfly. They're so delicate, barely hinged together. Anne wonders how their "fragile perfection survive[s] the breakers on the beach." I do too. Anne compare this shell to the early years of marriage, a pure, self-enclosed world of mutuality. Already middle-aged and married for 26 years when she wrote Gift From the Sea, Anne knows the "Double Sunrise" stage of marriage doesn't last: "the tide of life recedes." But she doesn't mourn the loss. Instead, she believes you should shed the shell that doesn't suit you anymore. "What is one to do - die of atrophy in an outstripped form? Or move on to another form, other experiences?" Thanks to The Aviator's Wife, we now know that Anne and her charismatic husband had a rocky marriage with crushing tragedies and bruising betrayals. And yet they remained married for 45 years, until Charles' death at age 72. If you read Gift from the Sea along with The Aviator's Wife, you'll have even more to contemplate and discuss with your book club. What a complicated couple. What a great pairing. Don't forget, Melanie Benjamin will be at The Bookstore on Thursday, January 24th at 7pm to discuss her new book. Hope you can make it! And by the way, your book club could win an "Aviator's Wife Gift Basket" at the event, which just happens to include a complimentary copy of Gifts from the Sea. There are always a few surprises, a few disagreements, but always, a shared joy of reading. Here's a list of our favorites, which even include a few from prior years. And there are so many more fabulous, worthy books that could have made our lists, but sometimes you just have to draw a line. So we limited ourselves to just 10. How about you? What were your favorites? Let us know in the comments section of our website, or hop onto Twitter or meet us over on Facebook to chat. We can't wait to hear about your favorite reads. One of our favorite local authors, Melanie Benjamin is back with her third novel, another fascinating work of historical fiction. This time she brings her heart and talent to the life of Anne Morrow Lindbergh, wife of the celebrity aviator Charles Lindbergh. The Aviator's Wife will be released on January 15, 2013. 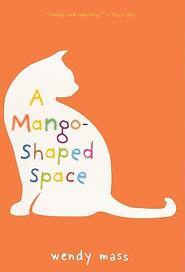 Melanie will be appearing at The Bookstore for a reception, author talk and book signing on Thursday, January 24th, 2013 at 7pm. We hope you and your book can club join us! We think it's her best work yet. She has already written about the real Alice in Wonderland (Alice I Have Been, 2010, one of The Bookstore's all-time bestsellers) and one of the first famous little persons, Lavinia Warren Bump (The Autobiography of Mrs. Tom Thumb, 2011). 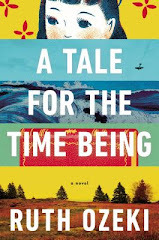 This time Melanie brings her fiction into the 20th century, with issues that are perfect for today's book clubs. There's nothing like a complicated celebrity marriage to get a book club talking late into the night. I won't be the first early reader to compare it to Loving Frank or The Paris Wife, both huge bestsellers and discussion-makers with our local book clubs. Beginning in the 1920s, The Aviator's Wife is a beautifully imagined story about one woman's inner growth from a sheltered ambassador's daughter to a young, submissive celebrity wife to a devoted mother and feminist author. The book explores the highs and lows of Anne's life: the excitement that she experienced as Charles taught her how to fly, the frustration of being in a celebrity marriage, and the horror of their young son's kidnapping. When I first heard about the subject of Melanie's new book, I was reminded how much I loved Anne Morrow Lindbergh's Gift From the Sea. When I first discovered it in the 1980s, I totally underestimated it. I thought it was just another pretty little coffee table book at my mother-in-law's house in Florida. I remember thinking it was a book for older women, women who still remembered the infamous Lindbergh kidnapping. When I finally picked it up, I was stunned. Here was a woman writing with feminist wisdom in 1952, long before the women's movement that I had come of age with in the 1970s. Anne Morrow Lindbergh was clearly ahead of her time. I have often wondered, who was this woman? 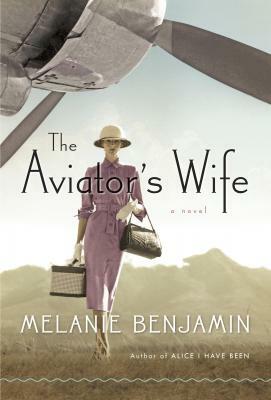 Thanks to Melanie Benjamin's new book The Aviator's Wife, we can finally know her whole story. I think you'll love it as much as I do. You can pre-order your copy of The Aviator's Wife here. We will call you to remind you on January 15th. 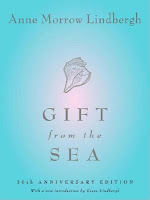 In the meantime, you might want to pick up your own copy of Gift from the Sea. They make a great book pairing for the New Year! 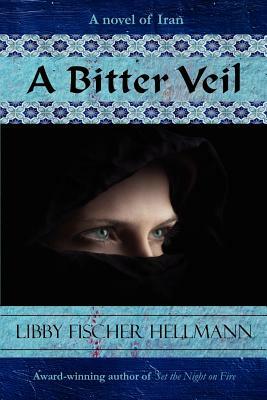 A Bitter Veil by Chicagoan Libby Fischer Hellmann is a crowd-pleasing novel. There is something for every reader, no matter what your favorite genre might be. It is a page-turning thriller, a tender and tragic romance, as well as a gripping tale of historical fiction. Set in Chicago and Tehran from 1977 to 1980, this novel begins with a knock at the door in the middle of the night. 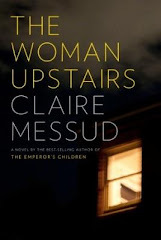 A young American woman covers herself with a chador and opens the door to find three bearded soldiers with machine guns. Revolutionary Guards have come with shocking news about her Iranian husband. Hellmann then steps back to Chicago in 1977, where Anna and Nouri first meet in the aisle of a dusty bookstore near the University of Chicago. Anna is picking out books from the syllabus of her Persian Literature class and Nouri (do I need to say he's tall, dark and handsome?) approaches her, quoting from the Rumi poetry collection in her hand. It's what Hollywood would call a "cute meet." But if you've ever read any of Rumi's poetry, or if you happen to love bookstores, it's even better than that. It's an "only-in-your-dreams" meet. A "you had me at hello" meet. Their romance takes off despite their different backgrounds, and soon the two are inseparable, as young lovers are. Anna and Nouri decide to marry and move to Tehran. Through Nouri's family connections with the Shah, Nouri gets a good engineering job and Anna finds a position teaching English and American Culture at the Iran-American Society. There is growing unrest and dissatisfaction with the Shah, but Anna and Nouri are planning a big fat Persian wedding, and are blind to the danger. For any reader, the building tension in pre-revolutionary Iran is palpable. But for readers ("of a certain age") who can remember the horror and the shame of the Iran Hostage Crisis, the danger is clear and imminent. You want to grab Anna by the shoulders, warn her, and help her escape from Iran before it is too late. Because we know what's going to happen to Americans in Iran in 1978. Despite the terrifying tale, Libby Fischer Hellman brings the beauty of Iran to life. Her description of Anna and Nouri's honeymoon trip to the Caspian Sea is breathtaking. Her research and knowledge of Iranian history, geography and culture is extensive and respectful. Hellman has crafted a well-written tale that combines suspense, action and plot with romance, atmosphere and history. It will not only satisfy her existing crime fiction fans - Hellmann has written two different mystery series - but it should bring her droves of new readers. I highly recommend this book. Libby Fischer Hellmann will be appearing at the third Annual Glen Ellyn BookFest on Saturday, June 23, 2012. She is appearing at a Ladies Luncheon at 11:30am at the Glen Ellyn Public Library with Charlene Baumbich, Sarah M. McCoy and Hannah Pittard. For more information and tickets, please go to www.bookfest.org. To purchase the book, click on the image above. 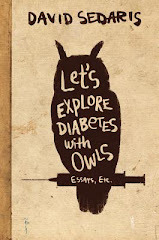 The book is available at The Bookstore and will be on sale at the library on the day of the event. The Bookstore is thrilled to introduce something new to our blog. We have a young loyal customer and avid reader who has agreed to supply us with her very own book reviews. Her pen name is Rowena Halfcrest, and she'll be recommending books for you and your children to consider. Just click on the highlighted title if you'd like to order a copy of the book to pick up at the store, or find out whether it is available as a Google e-book. Need good book club ideas? Stop in for our personal recommendations and 10% book club discount!